Il Mondo del vetro with the textile art gallery Nader has presented the exhibition Senso Dedicato Collection at LaMari Creative Shopping: four lines of contemporary carpets in limited edition, hand made with fine yarns. "SENZA CONFINI: IL VIAGGIO CREATIVO DI CARLO PASINI"
Il Mondo del Vetro with the historical archive of Fratelli Toso has created the traveling exhibition "La Fratelli Toso: i vetri storici dal 1930 al 1980". The first location is in Pavia from 31th of May until 17th of June 2018. In the ancient church of Santa Maria Gualtieri, in the heart of the town, you have the possibility to discover the historical works of Toso family, and the technique of Murrina, the trademark of the glass factory. 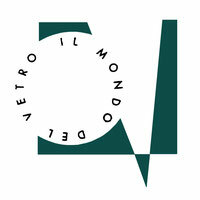 Il Mondo del Vetro has started the collaboration with the fashion store LaMari Creative Shopping in order to create a concept store, where fashion, design and art coexist and dialogue. Exhibitions, fashion shows, events, talks....for offering a cultural experience at 360°. EXHIBITION "VASI DI VISI - VISI DIVERSI"
Pila Gallery hosts the exhibition "Vasi di Visi - Visi Diversi", in collaboration with Tam Tam Association for Fondazione Istituto Sacra Famiglia. The works are created by the guests of the foundation, based on the drawings of important designers as Guerriero and Mendini. In November Les Puces du Design and Il Mondo del Vetro collaborate to create a solo show about the important designer Ettore Sottsass. His works for Memphis arrive in Paris to discover the incredible trip of this artist, who changed the concept of design of 20th century. Il Mondo del Vetro continues his collaboration with Pila Gallery, who moves to the new spaces in Penotti Umbertini Palace, in the center of Orta San Giulio. Il Mondo del Vetro continues to participate at the important event in Paris "Les Puces du Design", both spring and fall editions. Il Mondo del Vetro participates for the first time at "Les Puces du Design" exhibition, in Paris. It is an historical market exclusively dedicated to design from the fifties to the end of 2000, only event in France of this size, since 1999. After the great success of public in Milan, the exhibition “Memphis again” arrives at Pila Gallery: in the fantastic historical context of Sartirana castle, you can discover furniture and objects icons of Memphis group, creators of Post Modern design style at the beginning of 80’s. Il Mondo del Vetro with Pila Gallery associations presents the exhibition “Zerodisegno-Design fatto ad arte”: the exhibition spaces of Pila Gallery in Sartirana are animated by the innovative and stunning works by international designers as Mendini, Pesce, Rotella and Rashid. Il Mondo del Vetro with Heart association presents the exhibition "Il Nespolo di Maggio": a solo show about the italian artist Ugo Nespolo and his best works. The exhibition tells the research of Ugo Nespolo in all its complexity and liveliness, from colorful inlays to embroideries, from sculptures, to graphics, from projects for furnishing accessories to films. After the great success of 2012 edition, Il Mondo del Vetro with Heart association presents a new exhibition, dedicated to the discovery of Murano glass “Bestiario”. The exhibition is divided in three sections: the first one is an homage to the great master Archimede Seguso, by exhibited his 60 glass animals; the second one sees a series of works realized exclusively for this event by 12 contemporary artists; the last part is dedicated to press papier. The exhibition is curated by Ivano Balestrieri. 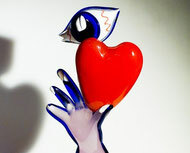 Il Mondo del Vetro in collaboration with the association "Heart" presents a week dedicated to the artistic glass: more than 100 glass objects that recall Murano glass history, from Art Nouveau up until today. Works by Schneider, Carlo Scarpa, Tagliapietra, Venini, Barovier, Gio’ Ponti, Barbini, Bianconi and Ugo Nespolo, the latter special guest of the exhibition.